Second Congregational welcomed 9 new members on February 22. A number of these interesting folks have kindly shared their stories with us so we can get to know them better. Paula Campbell was born and raised in Wiscasset, Maine, but moved “away” after college, living first in Georgia and Michigan, then moving back to New England. 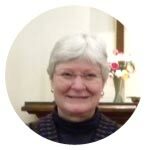 Paula raised her two daughters in Andover, Massachusetts, where she was always active in the community and as a member of South Church UCC for an impressive 39 years. She blessed many older adults during her career there as a licensed social worker. Paula has recently moved back to Maine with her significant other. She loves being with her granddaughters and being outside and active, which (knowing Vivian) is probably easily accomplished! Paula also enjoys music, reading, tennis, and spending time with family and friends. She shares that being back in Maine and living beside Damariscotta Lake makes life complete. 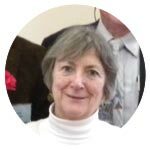 Sally has had a life-long association with the UCC, having grown up in D.L. Moody?s church in Northfield, Mass. She graduated from Northfield School, earned a bachelor?s from Syracuse, and a master?s from Penn State, both in English, and she is an avid Penn State football fan. 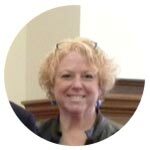 Professionally, Sally worked as an editor and writer in many capacities, including editing alumni magazines for Bucknell University, the University of Florida, MIT, and Northfield Mount Hermon. Sally and her husband, Mark, love cycling and have ridden the Pan Mass Challenge and the Northeast AIDS Ride, along with their daily local cycling. Sally and Mark live in Walpole with their four kitties. 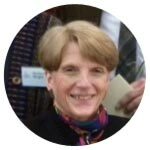 Sally has one son, William Tawney, who lives in Tampa, Fla.
Mark, like Sally, has been affiliated with the UCC his entire life. His father and two of his uncles were pastors in our denomination. He attended Elmhurst College where he received his B.A. in philosophy in 1969. In 1980, Mark completed his studies for an M.A. in philosophy at the University of Rhode Island, and in 1984 graduated from Andover Newton Theological School with a Master of Divinity. 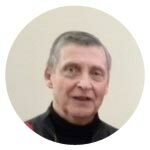 He has served 5 UCC churches since then and recently retired in September ?14. Mark has two sons, Justin and Nathaniel, both of whom live in Massachusetts. In March of ?15, he?s expecting to become a grandfather for the first time. Mark enjoys cycling, riding his motorcycle, gardening, and reading. Marianne Peterson and David Ray are delighted to be newly involved at Second Church. Marianne was born in Bristol, ME, where she grew up and attended schools. Her father was a doctor and her mother was a nurse (operating a nursing home in their house). It was natural for Marianne to work in the medical field. Her position after college was as secretary to the Director of Nursing at Maine Medical Center. Later, after marrying, she spent many years as a stay-at-home mom and volunteer in CT and MA. She moved “home” to Maine in 1999. Marianne wrote: “I love being with family and friends and enjoy teaching and playing bridge, gardening, reading, theatre, X-C skiing, swimming, biking, hiking, kayaking and rowing with David.” She and David love traveling and sharing life with Jackie, the Black Lab who brings great joy (and exercise) to their lives. Between them they have four adult children and three grandchildren. They both look forward to returning to San Miguel de Allende, MX where David will again be pastor of the ex-pat Community Church of San Miguel for three months this fall. 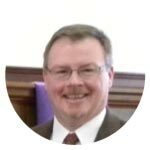 David moved to Maine from California in 2004 to take the position of half-time Associate Minister for Small Church Development in the Maine UCC Conference and soon bought a home and became half-time pastor of the Congregational Church of Bristol. After leading the church in real growth and development, he retired as their pastor a year-and-a-half ago. For him, the best part of the Bristol ministry was meeting and marrying Marianne. Prior to coming to Maine, David led significant renewal and growth in four churches in MA, VT, IA and CA and served on Conference staffs in MA, IA and CA. Small churches have been David’s love and specialty for many years. 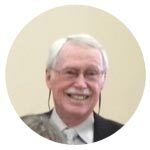 He’s published four of the principal books about small churches, has taught courses in small church ministry in a half-dozen seminaries, and provided program leadership on small church issues for a dozen denominations in the U.S. and Canada. David co-founded Every Dollar Feeds Kids which has provided well over a million meals for hungry children in southern Mexico, has led mission and retreat trips to Rwanda and Mexico, has traveled extensively throughout the world, and is newly involved in the Kairos Prison Ministry at the Maine State Prison. He struggles with the idea of retirement and is still finding ways to serve congregations. John and Mindy live on Pemaquid Pond in Nobleboro, with their 3 labs. A year and a half ago, after Mindy retired from teaching art, they moved from NJ to their ?summer house?. Mindy now works as a potter at Sheepscot River Pottery in Edgecomb. John works from home as a network engineer for HP. They have 20 year old twins, Sean and Mollie. Sean attends the University of Maine in Orono, studying education with a focus in math and physics. He currently serves in the Maine National Guard as an MP. Mollie is in Army basic training, graduating later this month, and will join her brother as an MP in the Maine National Guard. She plans to continue her education this fall, majoring in physical education. The family enjoys spending time together: XC skiing, swimming, fishing, boating, campfires, and spirited family game nights. Mindy and John joined the Second Congregational of Newcastle by letter of transfer from the United Methodist Church in NJ where they attended for a wicked long time. David and Barbara met at McCormick Theological Seminary where David grew up while his father, G. Ernest Wright, taught Old Testamentand became a well-known Biblical archeologist. Barbara was in the program in Church and Social Work. After David went to his first job as an assistant minister in LaCrosse, WI, he left his BSA motorcycle in Barbara?s dormitory room. 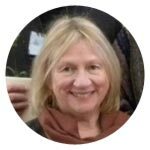 Barbara later became a psychiatric social worker and therapist. 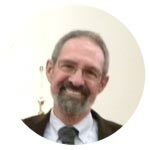 David served UCC churches in Shrewsbury and Southwick MA and was pastor of the College Street Congregational Church, UCC inBurlington, VT for eighteen and a half years. Now retired, they live in Bristol. Barbara plays a Celtic harp and has a small weaving loom. David sings in the St. Cecilia Chamber Choir. They have a Border Collie named Meg who is their companion and exercise program.